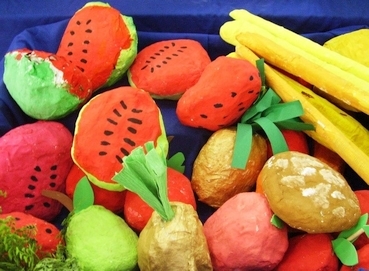 Papier Mache is an exciting, fun and versatile medium for the creation of art. It has limitless possibilities and is superb for the production of 3-dimensional pieces of art. Creating humorous and comical pieces of art based upon everyday objects from fruit and food to figures and animals.